Google’s new Android L may only be at preview stage, with the fact that it hasn’t even been given a proper name yet being a testament to this, but nevertheless, we’re already seeing some encouraging signs of improvements that have been made. Namely, the company is shooting for an all-new “Material Design” language, which is set to give the interface a more layered, vibrant feel, and although we’re still quite away from the end user release, I’m sure many of you cannot wait to run Android L on your devices. 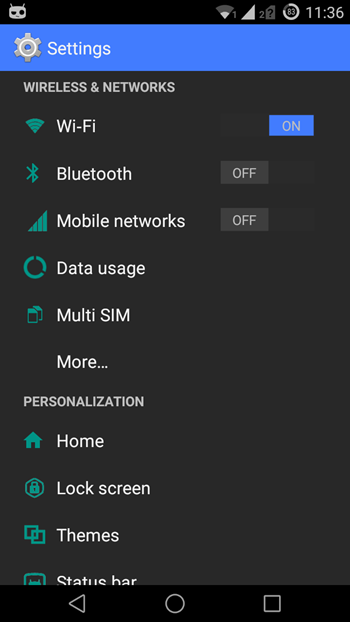 If you don’t fancy going ahead and installing the preview on the Nexus 7 or Nexus 5, then thankfully, there’s a theme floating about that allows you to achieve a similar look on your current handset. 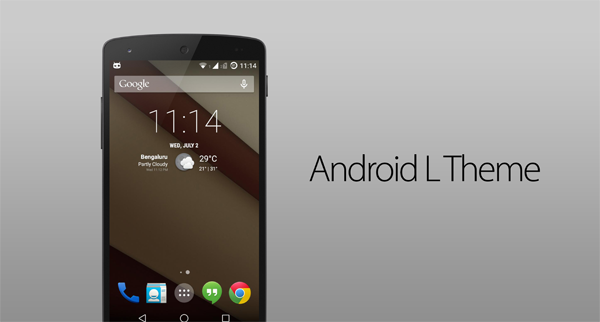 At I/O late last month, Google took the opportunity to introduce the next big flavor of Android, currently referred to as Android “L.” It was an unusual step for the search giant, given that major updates to the company’s mobile software are usually showcased a while after the big developers conference, but according to Sundar Pichai, this early preview is part of a new initiative to let devs in on the progress of its software at the very earliest point. In the end, despite announcements pertaining to the car, streaming media and Chrome OS, it was Android that inevitably stole the show, and although the Material Design element is only a part of the story, it’s still hard to see past the beautification of an already neat-looking platform. 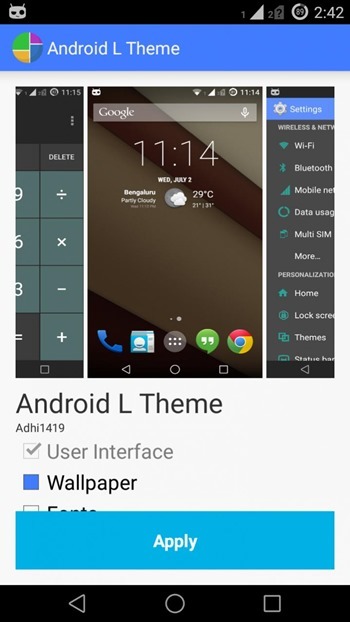 XDA-Developers, which is a treasure trove of information and knowledge relating to Android in particular, regularly delights us with some great apps and utilities for Google’s mobile OS and now, forum member Adhi1419 has come through with a theme almost identical to that of Android L.
Of course, as with any skin, it’s not the complete article, and there are some minor imperfections, but overall, it’s a fantastic replica of Android L, and if you’ve been craving the new look or simply want to rejuvenate your current set-up, you’ll almost certainly want to give this theme a try. 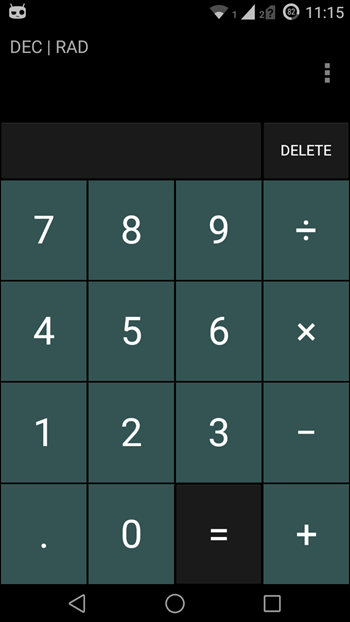 You can grab the theme, which requires Android 4.0 and up, at the source link below.